Pianist and composer Samuli Mikkonen was born in Jyvaskyla, Central Finland, and started improvising on the piano at the age of 3. Mikkonen has devoted most of his life to developing his own musical voice on the grand piano. His main band at the moment, Kuára, is an acoustic trio with drummer Markku Ounaskari and saxophonist Trygve Seim. Their first record for ECM Records, produced by Manfred Eicher, and featuring another Norwegian, multi-instrumentalist Per Jorgensen, was released in November 2010. In addition to Kuára, Samuli Mikkonen has released 4 records of his own, and plays on some 25 others. Sometimes called ‘the most Finnish-sounding pianist of his generation’, critics have identified elements of Finnish folk music, Bill Evans, Sibelius, Keith Jarrett, 20th century classical, and the European jazz tradition documented by ECM in his musical style. Mikkonen first appeared in the Finnish jazz scene in the mid-90’s, and has since then worked home and abroad with a growing list of collaborators and different projects. Around the turn of the millennium, Mikkonen led a Scandinavian trio consisting of him, bassist Anders Jormin and drummer Audun Kleive, releasing a live record called ‘Kom Live’ in year 2000. He has played sideman gigs for Kenny Wheeler, Mike Gibbs, John Zorn and Wayne Krantz. He also appears on the 2014 CD Daraludul Yow by Senegalese singer Julia Sarr, well known in the Paris world music scene. In Finland, he has been the pianist of choice for world jazz outfit Piirpauke and jazz/improvising artists Sonny Heinilä, Sakari Kukko, Mika Mylläri, Pekka Pylkkänen, Jouni Järvelä and Jorma Tapio, among others. He has also worked briefly as a pianist for the renowned Finnish big band UMO. Together with friends from his hometown Jyvaskyla, in the 1990’s Mikkonen ran an musical collective Wainamoiset, exploring with mixing elements of jazz, contemporary classical, electronic music and musique concrète. In the 2000’s, he has also brought his ideas to a more urban-eclectic context as an arranger/co-producer in Vibraltar, a project with producer Teemu Hammaren. Besides most European countries, Mikkonen has toured in Argentina, Brazil, Chile, Peru, China, South Korea, Japan and USA. He has performed in premier European clubs such as Porgy & Bess in Vienna, Unterfahrt in Munich, AMR Geneve, Nefertiti in Gothenburg, Copenhagen Jazz House and festivals home and overseas: Rochester International Jazz Festival, Jarasum Jazz Festival, Beijing Jazz Festival, London Jazz Festival, International Jazzfestival Münster, Jazzbaltica, Lisbon Festa do Jazz do São Luiz, Istanbul Akbank Jazz Festival, Molde Jazz Festival, Umeå Jazz Festival, Bergen Nattjazz, Ystad Jazz Festival, IAJE and others. His concerts have been broadcast by BBC, NDR, WDR, Ö1, SRG/SSR, YLE, Sveriges Radio, Danmarks Radio, NRK and Eesti Raadio. As a composer, Samuli Mikkonen has written for his own hand-picked ensemble ‘7 Henkea’, as well as jazz ensembles ranging from duos and trios to a big band. Commissioned pieces include 5 pieces for big band, works for jazz/classical hybrid ensembles and music for theatre and TV. In 2005, Mikkonen was hired by Oulu University of Applied Sciences to start the pop and jazz education there. He has held a position in the faculty 2006-2009 and 2011-2017. 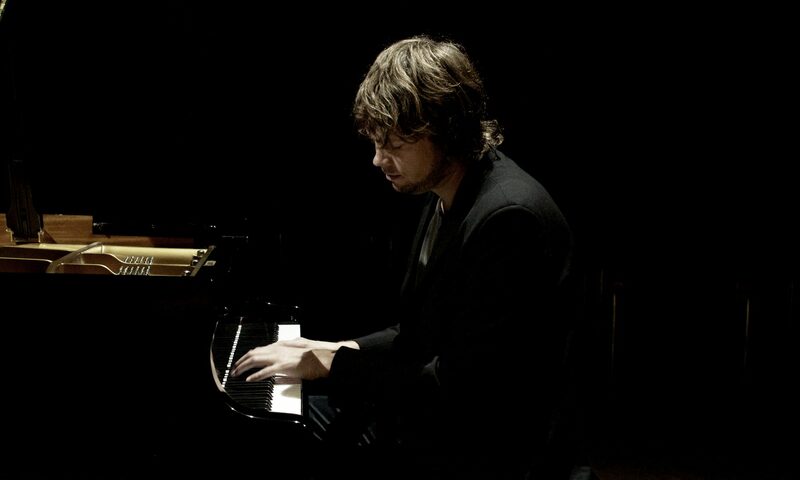 Besides Kuára, in the near future Mikkonen is focusing on solo piano improvising and making new compositions. Per Jorgensen, Samuli Mikkonen, Markku Ounaskari at Tampere Jazz Happening 2010. Markku and Samuli, Helsinki 2008. 7 Henkeä on stage: Pepa Päivinen, Jorma Tapio, Sakari Kukko 2003. Anders Jormin, Kom Live 1998. Audun Kleive, Kom Live 1998. Samuli Mikkonen & 7 henkeä (2003) Samuli Mikkonen, piano, compositions; Mika Kallio, drums; Uffe Krokfors, double bass; Juhani Aaltonen, tenor sax, flute; Sonny Heinilä, saxophones, flute, ney; Sakari Kukko, tenor saxophone, flutes; Pepa Päivinen, saxophones, alto flute; Jorma Tapio, alto sax, bass flute, bass clarinet. SMCD-3. KOM – Live (2000) Samuli Mikkonen, piano; Anders Jormin, double bass; Audun Kleive, drums. SMCD-2. Korpea kuunnellessa (1998) Samuli Mikkonen, piano; Uffe Krokfors, bass; Mika Kallio, drums. SMCD-1. Sakari Kukko, saxophones, flutes; Samuli Mikkonen, piano; Ulf Krokfors, bass; Mika Kallio, rummut. Rockadillo ZENCD 2073.